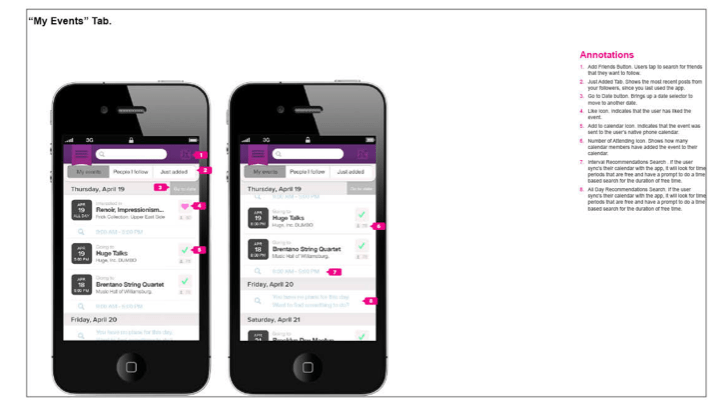 Calendr is a mobile app that enables event discovery and planning, syncing phone calendars and social networks. The mobile app was the first step towards developing an infrastructure of synced apps on desktop, mobile and tablet. I created User Personas from conducting and analyzing user research. My research included: task-oriented user interviews, user intercepts and a competitive analysis of other applications and services that were in competition with our product. For user flow, I created a negative flow and a positive flow to highlight the user’s problems and how the app will solve each problem. The negative user flow is shown using problems cited in the user research interviews and uncovered in competitive analysis. The positive user flow reframes the user scenario with the improvements offered by the app. 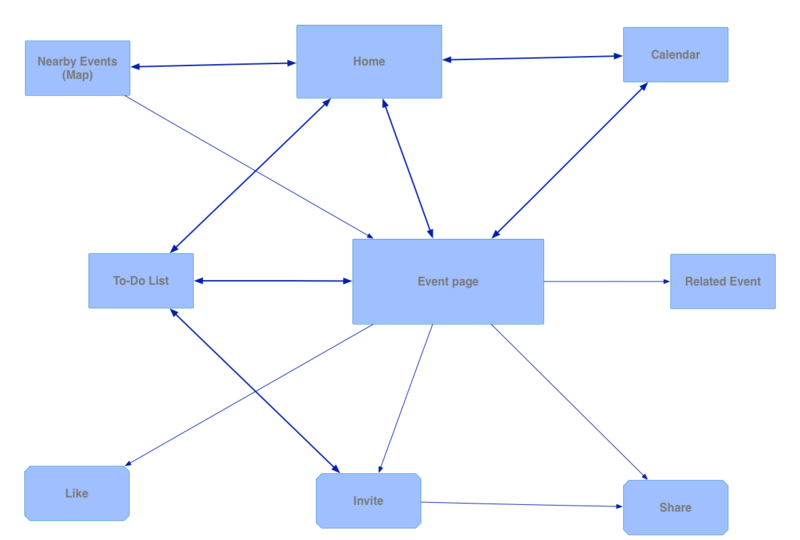 For system flow and site structure, we identified the major flows and actions for the user. A sketch of the site structure. I conducted usability testing after pre-screening users. 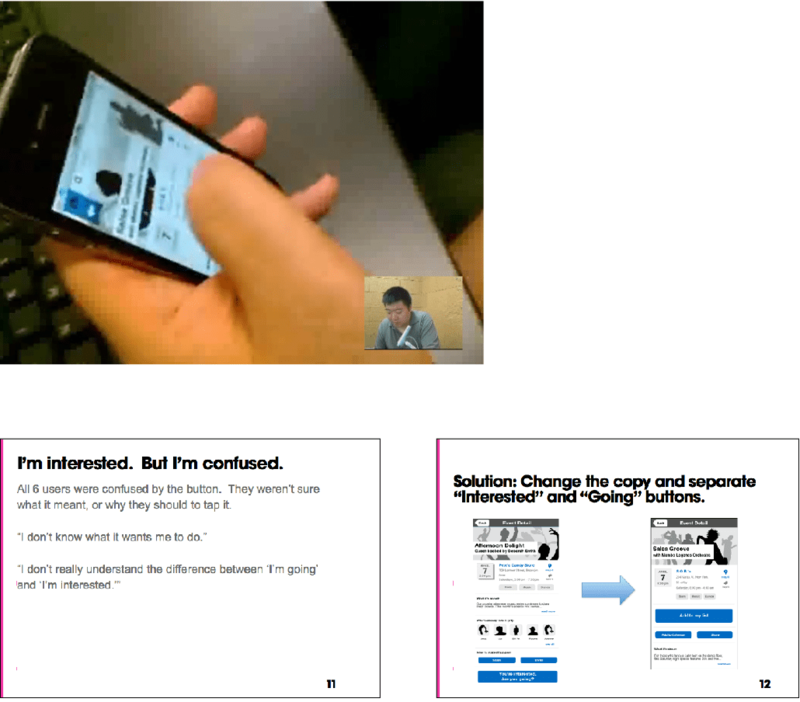 We had users test an interactive pdf prototype and do core tasks for 45 minute sessions. An interactive prototype was loaded onto a smartphone. Recorded Usability testing and snippet from usability findings. After testing, I delivered my findings and another iteration of wireframes was made. Our team then took our key concerns from the users and showed how we were addressing those concerns with our next iteration. 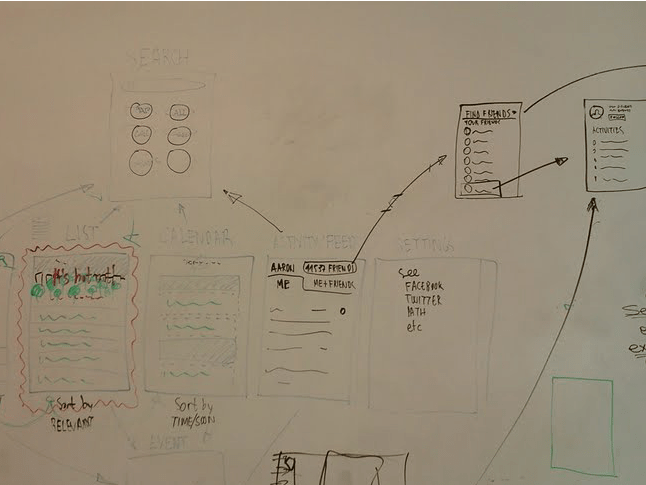 Annotations for this project were completed on a wireframe/visual design composite.